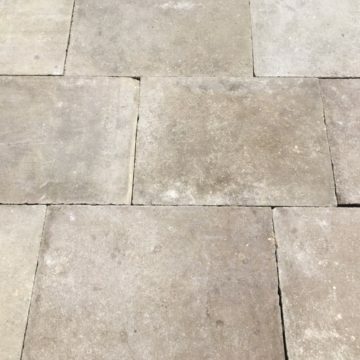 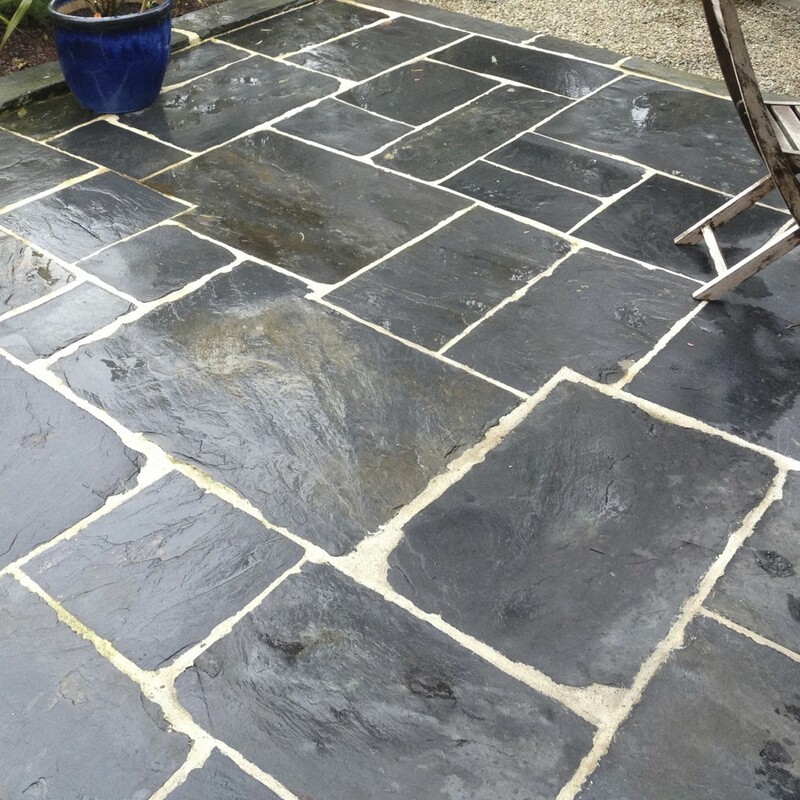 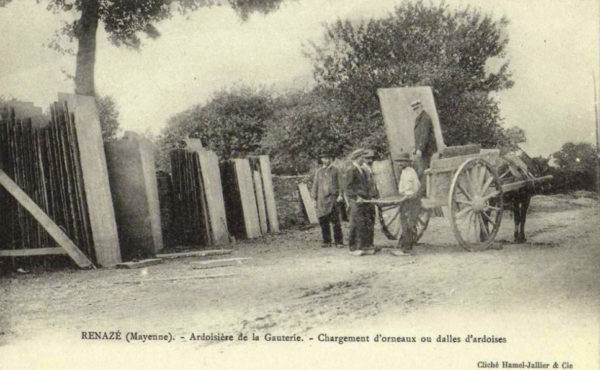 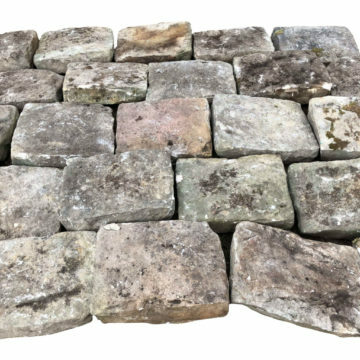 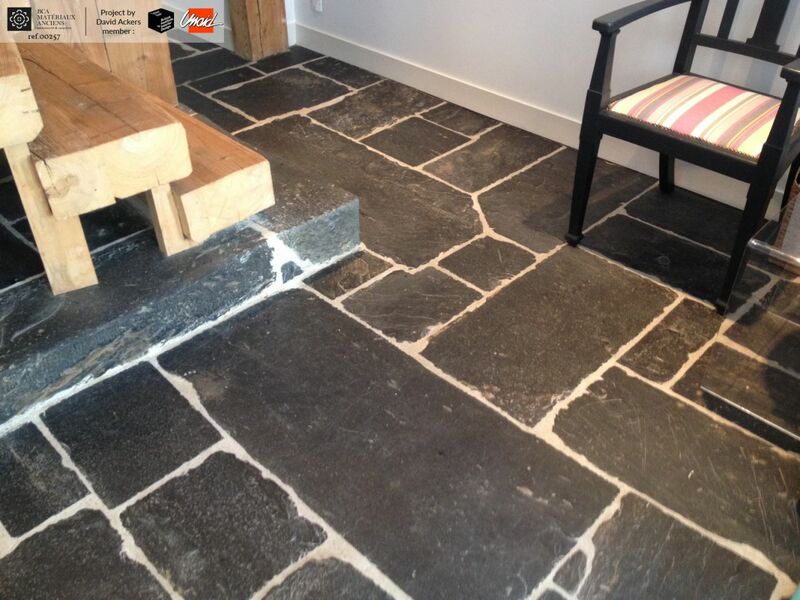 Reclaimed slate – schist flagstones : Antique French reclaimed Angers slate slabs in mixed large sizes (sometimes huge) in random rectangular format. 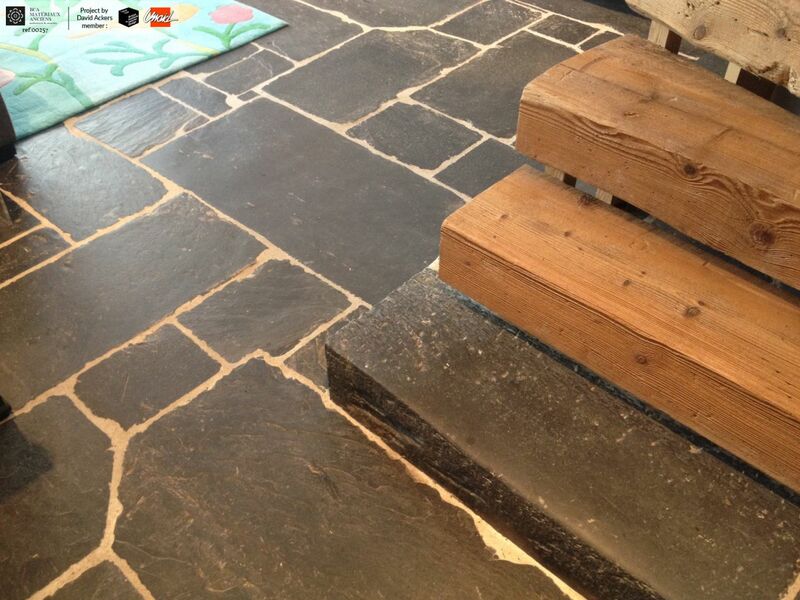 Reclaimed French bluestone. 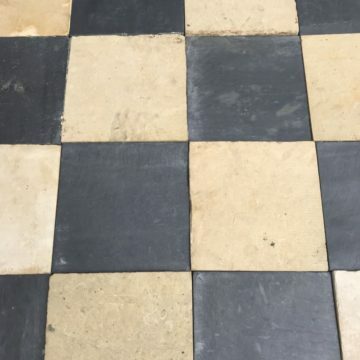 Thickness varies, but assume 2cm to 6cm (mainly 1 to 2 inch thick) approx. 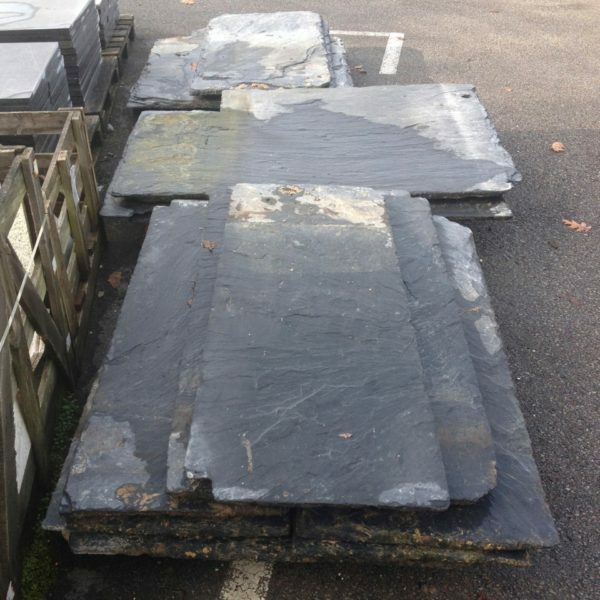 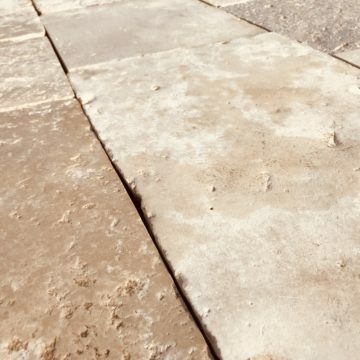 Being re-used for interior and exterior projects, these unusual antique stone slabs are sought-after for their blue-black natural colour and particularly large sizes. Some are big enough to make table tops for example.